Another weekend, another defeat. But will we take solace in the fact we were shaded 1-0 away at the league champions? Of course we won’t. And quite rightly. Simply put, Man City were there for the taking. As always the team was packed with quality but hardly seemed dangerous and after the early departure of Aguero looked toothless. Great tactic actually, neutralising one of the best players in the world right at the start. Brilliant. Pity someone didn’t neutralise Andre Marriner. I’m not one to blame a referee for a poor result, but gifting City the winning goal while allowing Mangala and Fernando’s nod to Shaolin Soccer turned out to be fatal. It’s no surprise that he’s been busted down to refereeing Fleetwood vs Sheffield United this weekend. But Andre Marriner being a mong doesn’t account for the fact we barely gave City much to worry about. Apart from Lukaku’s shot which Joe Hart kept out with all the convincing quality that is now typical of every goalkeeper who isn’t Tim Howard, there were only snapshots and half-chances. It was a bit tame, and yet again we tailed off in the second half. Kevin Mirallas can only be a limited level of boss if he struggles to last the entirety of the match. It’s the same thing which blighted the Hull and Spurs games that preceded the defeat at the Etihad. And so we continue to pedal out the same talk. ‘A good run of games and we’ll be fine’. But when is this fated run coming? We just went eight games without defeat and didn’t progress much. But starting with QPR on Monday we’ll have to use the period without the Europa League ‘distraction’ to put together a significant league run. But, anyway, what’s this? The Europa League distraction! This is the shining light of our season. That and the fact Samuel Eto’o plays for Everton. Samuel. Eto’o. Boss. We had one of the toughest groups when it was drawn, yet somehow by this point Krasnodar have become “part-timers”, Lille have become “sh*te” and the entire Bundesliga has been discredited because apparently Wolfsburg are “average”. Three good teams, all taken care of. This game gives us the chance to progress unbeaten. We’ve done that before, of course. Villarreal and Fiorentina are going through too. See you soon lads. The home performances have been clinical and the aways have been solid, marked by some memorable “enjoying the atmosphere”. (That requires plenty of liquid encouragement). Five games, three wins, two draws. Up for the (Europa) league and up for the Cup. It doesn’t feel very Everton at all, this. We’ve done the job and done it well. There’s no pressure. Where’s the fun in a dead rubber, then? Roberto Martinez is trying to make it fun (and cutting this preview down significantly) by naming the line-up already. No patchy guesswork from me. So, in goal. Joel Robles. Try catching the ball every now and again. 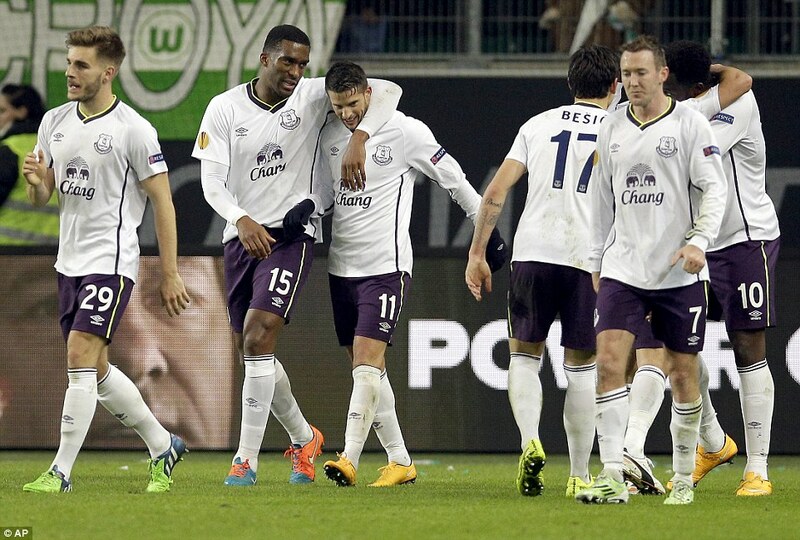 At the back are Browning, Alcaraz and Garbutt. 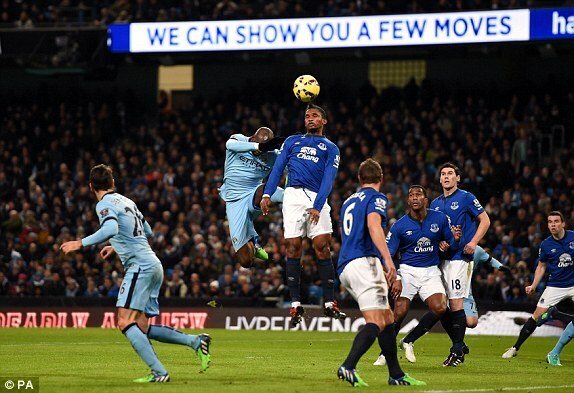 Is Gareth Barry at centre back or just in front? I’m not totally sure. What I do know is that if Browning and Garbutt have a stormer here the fairweather crew will be all over getting them on the pitch at any possible opportunity. Because that went really well with Vellios. Ryan Ledson’s up for breaking some Russian lid tonight, and with Pienaar, Atsu, Oviedo and McAleny around him there’s plenty of creative talent. Merry #OviedoChristmas all. The lad’s an absolute beauty. Conor McAleny needs to build on his potential fast – remember that he’s older than Romelu Lukaku, Ross Barkley and John Stones. Mad that isn’t it? And up front…Arouna Kone starts a professional football match for Everton. It has been a long time coming, but 2014’s finally livening up. Plenty of youngsters on the bench too who can make their debuts. And none of them look like they’ll be leaving us and winning the World Cup in three years either. In a bit Shkodran. Not arsed about the Krasnodar line-up. Sorry. It’s gonna get interesting after this – the draw’s on Monday and we could get Roma, Ajax, PSV, Celtic, Anderlecht and the rest who will finish second in the groups. We can and will take them all. Why not? Everton aren’t we. Yes, it’s a moody one, this. Cold night, about fourteen people at Goodison Park, some soft Russians in town. Hey, that’s the Europa League. But for the youngsters, the exciting future of our club, this could be a big night. If we’re toasting Ryan Ledson’s success in five years’ time, remember that it started on a sh*t night against Krasnodar. There’s no pressure at all! This is Everton at its very rarest. Enjoy.